2. University administrators may view dollars generated from credit-hour production as a given, with little dependence on teaching quality. Research dollars may be perceived to bring greater prestige to the university. This situation can produce a disconnect between those perceived as research or teaching faculty, even when both may have similar appointments (commonly 40% research, 40% teaching, 20% service). Thus, those focused on research may view teaching as an encumbrance, whereas their teaching counterpart must generate a scientific publication record that may or may not advance science or pedagogy. In this situation, the amazing harmony between knowledge discovery and delivery to a new generation of scholars is at risk. Another potential problem concerns full- or part-time, non-tenure-track instructors. These instructors may be absolutely marvelous educators who, despite a dearth of hands-on research engagement, keep scrupulously up-to-date in their field. However, for those who become overreliant on outdated textbooks and do not attend current scientific conventions (often not required or supported for their position), it may mean that their material is simply incorrect. Some fields progress at an extraordinary pace. Fortunately, today’s research engines, such as the National Institutes of Health’s PubMed, Google Scholar, and Web of Science, make readily available the latest in scientific discovery. Moreover, if the necessary expertise is not locally available, email provides a (usually) ready access for earnest individuals to world authorities in their field. In my experience, these academics try to answer genuine questions as time and expertise allow. Due diligence by the instructor in this regard, especially in foundational science courses that cater to pre-med and pre-health majors, can enable the instructor to adopt the latest discoveries and keep abreast of the pertinent literature. To do otherwise would be tragic and result in students being denied the education they rightly deserve and the best foundation possible for their professional school. It is to be hoped that administrators recognize the importance of providing the time, resources, and incentives for their faculty to take advantage of these resources. Despite John Henry Newman’s misgivings expressed above, superlative teaching, as wonderfully guided and presented in the ACUE certification course, is based immutably upon research evidence. Whereas we may all know (or know of) research faculty who do not teach well, the opposite is also true. Some of my mentors were superb teachers: For instance, Professor Jared Diamond at UCLA is a Pulitzer Prize-winning author (see Diamond, 1997), an engaging and extraordinary educator, as well as a superlative physiologist, anthropologist, and historian. According to Wilson (2014), also a Pulitzer prize winner and an accomplished biologist and naturalist, sentinel characteristics of a scientist are “to think like a poet but work like a bookkeeper.” I submit that both qualities, when applied in the right measure, can contribute to teaching effectiveness and excellence. This is true particularly when creative state-of-the-art teaching practices and attention to Bloom’s Taxonomy, as promoted by ACUE, are utilized. To be a professor, one needs something to profess. The very epitome of higher education is firsthand experience in discovery with the ability to deliver that knowledge to students in a compelling, relevant, and (hopefully) entertaining fashion. As research is the apogee of critical thinking, our research questions can form the bases for developing such in students. My dearest colleagues and I take exceptional pride in placing students and their education along with our research endeavors on the top tier of our professional responsibilities, and this benefits all. Some of our very finest doctoral students first become enamored with scientific research in our undergraduate classes. This philosophy has reaped great rewards in terms of our laboratory’s productivity combined with our students’ many successes and career achievements. It has also been recognized by these same colleagues winning multiple teaching accolades at the college, university, and national levels. The towering educator and scientist Thomas Henry Huxley (1825–1895) opined, “Science is simply common sense at its best, that is, rigidly accurate in observation, and merciless to fallacy in logic.” I submit that these principles are common to teaching and research. 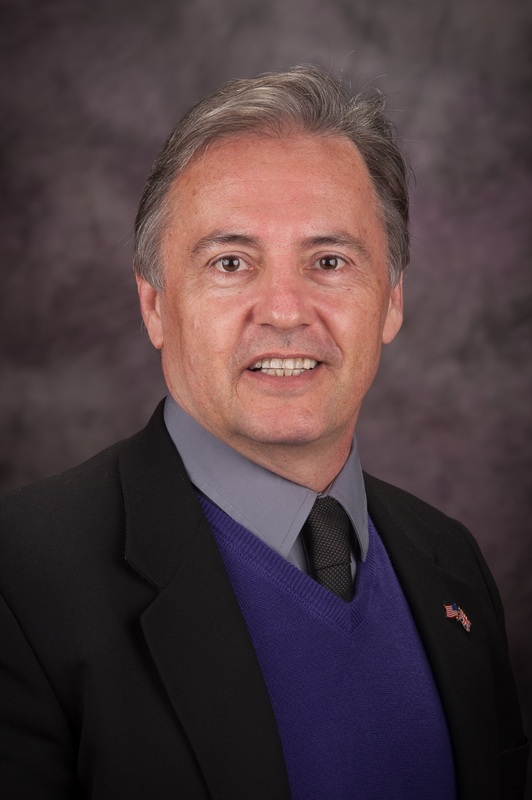 Many of the skills and techniques inspired and delivered through ACUE have helped me more effectively combine my teaching and scientific research at Kansas State University. Diamond, J. (1997). Guns, germs, and steel: The fates of human societies. New York, NY: W.W. Norton. Newman, J. H. (1852). Discourses on the scope and nature of university education: Addressed to the Catholics of Dublin. Dublin, Ireland: Duffy. Wilson, E. O. (2014). The meaning of human existence. New York, NY: Liveright. David C. Poole is a University Distinguished Professor of kinesiology, anatomy, and physiology at Kansas State University. His National Institutes of Health-funded discoveries have helped define the oxygen transport pathway and advanced novel therapeutics for heart failure. He has taught over 7,000 students and authored 300 research publications and three books.